Yakima Products has decided that a defect which relates to motor vehicle safety exists with certain Yakima Q-Tower Roof Racks. Certain Yakima Q-Tower Roof Racks are being recalled. The affected units can be identified by the distinguishing markings as shown below. In the interest of ensuring absolute safety using the Q-Tower Roof Rack, we ask that you immediately examine your product to determine if you have an affected unit. If your Q-Tower Roof Rack has Crossbar Clamping Wedges without similar markings depicted as “Good” in the picture above, please remove the Q-Tower Roof Rack from your vehicle immediately and discontinue use until it can be upgraded with good Crossbar Clamping Wedges to be provided by Yakima Products. Why is a recall being conducted? Yakima has determined that Crossbar Clamping Wedges installed on Q-Tower Roof Rack products manufactured between January 26, 2015 and May 26, 2015 may not meet minimum clamping requirements as specified in Yakima technical documentation. These Clamping Wedges could slide on the crossbars during installation causing a loose fit on the vehicle. Q-Towers sliding on crossbars can cause difficulties installing and/or compromise installed rack integrity. Prior warnings of this defect may include sliding or rattling noises when the Q-Tower rack is in use or identifying a loose fit during the required safety checks defined in the installation manual. A compromised fit could result in a rack ejection, causing a crash or personal injury to persons outside the vehicle. 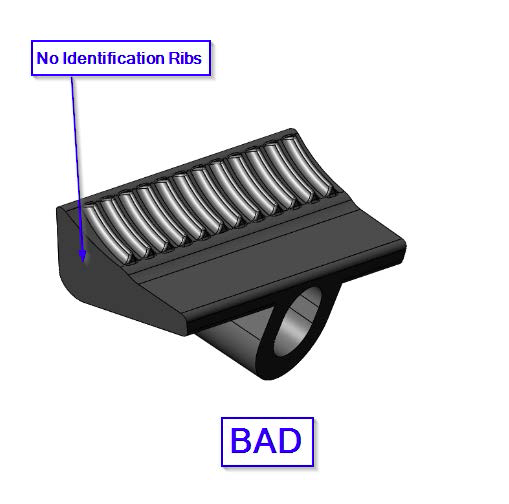 Crossbar Clamping Wedges without the identifying characteristics are being recalled. 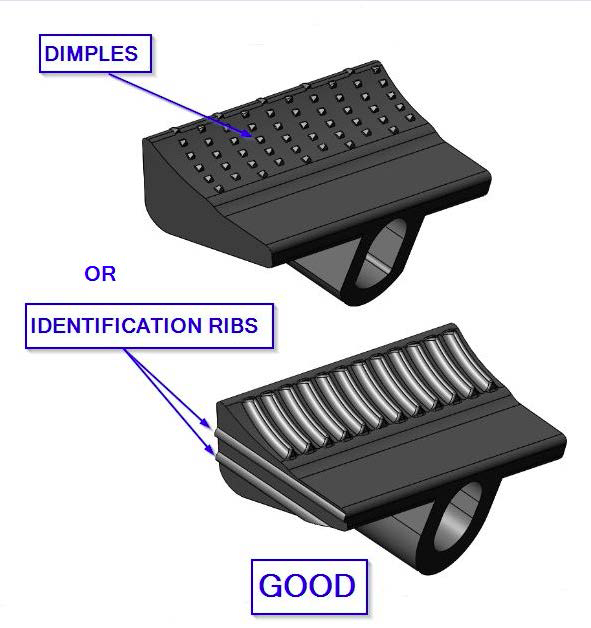 If your Crossbar Clamping Wedges have the markings depicted as “Good” in the picture above, it is not affected by this recall. What are we doing about the problem? Yakima is asking that consumers contact Yakima Customer Service. The consumer is being asked to remove the Crossbar Clamping Wedges and replace with them proper Crossbar Clamping Wedges that Yakima will provide at no charge. Replacement Crossbar Clamping Wedges will be available by June 15, 2015. What should you do? If you determine or suspect that the Crossbar Clamping Wedges in your product are not correct as noted above, immediately remove the product from your vehicle and go to http://recalls.yakima.com/qtowers for instructions. Who should you contact if you have further questions or concerns? Call Yakima customer service 888-266-3085 or email qtowerrecall@yakima.com We apologize for any inconvenience this safety recall may cause, but your safety is our first concern. If you believe that your Q-Tower Roof Rack has not been remedied without charge and within a reasonable amount of time, you may submit a complaint to the Administrator, National Highway Traffic Safety Administration, 1200 New Jersey Ave., S.E., Washington, D.C., 20590; or call the toll-free Vehicle Safety Hotline at 1-888-327-4236 (TTY: 1-800-424-9153) or go to: http://www.safercar.gov We appreciate your support of the Yakima brand and your patience during this recall. We look forward to serving you in the future. Sincerely, Yakima Products, Inc.
Privacy Notice ©2019 Yakima Products Inc. All Rights Reserved.